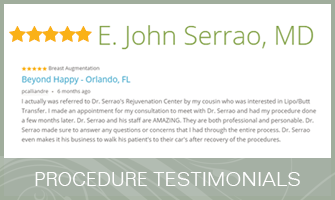 Dr. Serrão is proud to be one of the first physicians in Orlando to offer Cellfina. Are you tired of having cellulite? At Serrão Rejuvenation Center, Dr. John Serrão – a board certified gynecologist and post-graduate trained cosmetic surgeon – offers Cellfina™ for women in Orlando, Winter Park, and the surrounding areas of Florida. Dr. Serrão was very excited to introduce this innovative technology to the women of Central Florida: “Finally, I have something that can treat cellulite with the results my patients have been looking for! The treatment is comfortable, the downtime is minimal, and my patients are happy with the long-lasting results. Cellfina™ is a great treatment and I really believe that it works.” Serrão Rejuvenation Center has been selected as a training center for the Cellfina™ procedure. Cellfina™ procedures are performed by Dr. Serrão in our AAAHC-accredited center. Our caring team will take good care of you. Cellulite is challenging, but with Cellfina™, women in Orlando, Winter Park, and the surrounding areas of Florida can address this bothersome problem. Contact Serrão Rejuvenation Center to schedule a consultation and begin your rejuvenation today with Dr. Serrão, a board certified gynecologist and post-graduate trained cosmetic surgeon. 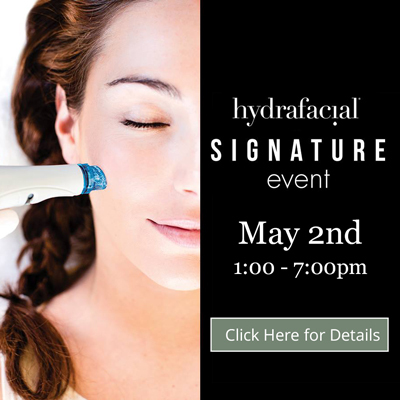 or call 407-258-3182 to schedule your complimentary consultation today. Cellfina releases these bands so that the skin is able to bounce back and smooth out. It is the only FDA approved procedure that treats the primary cause of cellulite. Cellfina Patient Story: Gina from Cellfina. Cellfina Patient Story: Brooke from Cellfina. Cellfina Patient Story: Paola from Cellfina. For more information on Cellfina, or to schedule a complimentary consultation, call Serrão Rejuvenation Center today at 407-258-3182. Dr. Serrão will listen to your concerns and evaluate your individual needs to customize a plan that is right for you and to see if you are a candidate for the Cellfina treatment. Cellfina™ is the only FDA-cleared, long-lasting, minimally invasive solution proven to smooth away dimples for at least three years in a single treatment — the longest FDA clearance for any cellulite treatment. Cellfina™ is very different from other cellulite treatments. Before we get into how Cellfina™ works, it is important to understand what cellulite is and where it comes from. Cellulite affects almost 90 percent of women and is predominantly located on the hips, thighs, and buttocks. Cellulite comes from connective bands that are woven throughout the fat in the thigh and buttocks areas. When these bands pull on the skin, they create the puckering seen on the surface of the skin. Cellfina™ releases these bands so that the skin in able to bounce back and smooth out. It is the only FDA-approved treatment that treats the primary cause of cellulite. Genetics, weight gain, a stressful lifestyle, and hormonal contraceptives may contribute to the forming of cellulite. How Long is the Cellfina™ Treatment? The length of one Cellfina™ treatment depends on the person and the areas being treated. Typically, one treatment takes about 45 minutes to an hour. How Soon Will I See Improvements in My Cellulite? Patients in the clinical studies showed significant improvement within three days after the treatment. Three years after treatment, 100 percent of Cellfina™ patients continued to have noticeable improvement. Cellfina™ patients report high rates of satisfaction with their treatment results. At three months, 85 percent of patients were satisfied; at one year 94 percent were satisfied; after two years, 96 percent of patients were satisfied; and after 3 years, 93 percent of patients were still satisfied, surpassing the patient satisfaction rates of all other leading cellulite treatments. For the most part, Cellfina™ patients are happy patients! Patients in an FDA-approved pivotal study showed significant improvement after just one treatment, with results lasting more than a year—the longest FDA clearance for a cellulite treatment. For some patients, results may even last up to three years! What is the Cost of the Cellfina™ Cellulite Treatment? The cost of any procedure varies from patient to patient dependent on the level of correction that is needed. The Cellfina™ treatment is based on the number of actual ‘dimples’ that are present and the number of areas that are to be treated. All of our fees will be discussed with you during your consultation and package pricing is offered. You will find our fees to be very fair and competitive for the Orlando area. Several financing options are also available at Serrão Rejuvenation Center. We welcome you to call our office for more details on fees and be sure to check our current specials. What Type of Anesthesia is Used for the Cellfina™ Cellulite Treatment? Cellfina™ treatments are performed under local anesthesia. There is typically minimal pain associated with this procedure to treat cellulite. Your comfort and safety is always our priority. What is the Downtime of the Cellfina™ Treatment? The Cellfina™ treatment has minimal downtime, if any downtime at all. Most of our patients return to work the next day after the treatment. You may experience minimal drainage, bruising, and mild swelling. You will be required to wear a SPANX compression garment for two weeks. Who is a Candidate for the Cellfina™ Cellulite Treatment? In all honesty, the question should be, “Who isn’t a candidate for Cellfina™?” Since cellulite affects almost 90 percent of women, most of us are candidates, and any woman who wants to enjoy life dimple-free may finally have a solution! How Do I Learn More About Cellfina™? Schedule a consultation to learn more about the Cellfina™ cellulite treatmemnt. The educational consultation is of great importance at Serrão Rejuvenation Center and our patients find it to be very informative. You will meet our caring team and tour our state-of-the art facility and AAAHC-accredited surgical center. Dr. Serrão and his cosmetic nurse, Larissa, are dedicated to answering all of your questions and will make you feel comfortable with their friendly demeanor. After reviewing your medical history, Dr. Serrão will listen to your concerns and expectations, perform a complete assessment, and educate you on the options that you have based on his expert recommendations. Together, you will develop a treatment plan that will fit your lifestyle and budget. You may choose to schedule the procedure at the time of your initial consultation, or you may decide at a later time. The consultation is about one hour and the fee (if applicable) will be applied towards the procedure or any purchase in our practice. Whatever your decision, it will be our pleasure to assist you in any way that we can.